Lives in the Phoenix area. FamilySearch (https://familysearch.org/ark:/61903/1:1:QKHH-FQCB : accessed 21 August 2015), Maria Aurora Moran, 1911. Medium height, build, brn eyes and hair. d. 2005 Prescott, Arizona - he is deeply missed. Guest Book for Manuel J. Felix. World War II Honoree. Obituary. Manuela (Nellie) Gamez - entire family passed away in an auto accident. The  Felix Surname Message Board. Rubio and Alonso Felix. Antonio and Pedro became Priests. In those days you could take your Mother's or Grandparents surname. surname. Bartolome was listed as a passenger to Santo Domingo in 1514.
of Murcia today. Check to see if your surnames are in Spain's white pages. born in Reinos de Piru, Spain. Mexico as of November of 1999. Ancestors of Pedro T. Rodriguez website. Also a de los Santos Coy link to King Ferdinand II of Spain. For more de los Santos Coy family trees see Pulido2000.com. The  Santoscoy Surname Message Board. the dictionary of Spanish surnames." 150 under study but there is this mention. on the name of the place in which the original bearer was born or resided. represents the Sun and Denotes Generosity and Elevation of Mind. that it is a french last name. city in Zacatecas, Mexico, which is mostly Loera. because they married someone from other parts of the country. together in the French language and French family names do not end in A.
at the start of this message. The  Loera Surname Message Board. New! Hispanic Genealogy Books a site about Mexican Genealogy with a focus in Nuevo Leon Mexico by Michael Carrillo. We Are Cousins and Mexican Genealogy  by Moises Garza. My Web Pages The DNA and Genealogical research of Crispin Rendon. Copies of pages of these catalogs can be ordered via email. You will likely find ancestors here! The Hispanic Genealogical Society of Houston, Texas. Cyndi's List of Genealogy Sites on the Internet for Mexico. New! Conquest, 1519-1540 Some free online books. by Europeans, in the Yucatan of Mexico. The Aztec/Mexica is a comprehensive site of Aztec life and culture. Other Early explorations by Hispanics in the U.S.
A great starting point for researching Los Californianos. A Celebration of John F. Slater's Life! John was a volenteer pilot for the Flying Doctors of Mercy. Please join me in donating to this worthy cause, helping the disadvantaged of Mexico.  called  Regine's Casual Blog on living with Cancer. A helpful list of Mexican IGI Batch Numbers by state. Archivo General de la Nacion Mexico. A list of more recent and modern day Conquistadors. Somos Primos Dedicated to Hispanic Heritage and Diversity Issues. What are your chances of being related to these Conquistadors? Check this site out - Calvin Andrus: Genealogical Notes. Italian or German (or vice versa) using AltaVista's Translation Page. paginación de la traducción de AltaVista arriba. di traduzione del AltaVista qui sopra. This site may help when doing research on records in Spanish. Spanish to English Genealogical reference. Help by supporting "The American Heart Association"
Ancestors of Crispin D. Rendon. Goes back twelve generations. DELGADO, ARREDONDO and other northeast Mexico Families. to the New World from Spain. results (sound alike surnames may come up also). 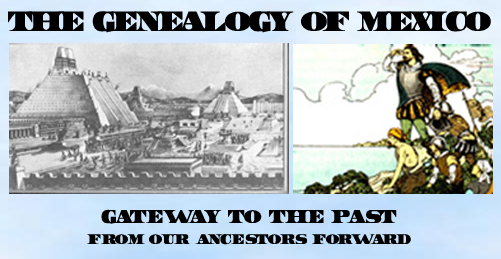 Genealogical Documents of the Southwest and Mexico. RootsWeb Meta Search - Comprehensive! Oxford Ancestors an affordable search of ancestry to area of origin. by Bryan Sykes a leading world authority on DNA and human evolution. DNA or Y chromosome research. Hardcover - 320 pages. Benevides single handedly saved the lives of at least 8 men in Vietnam. AMAZON.COM and have them delivered to your door.